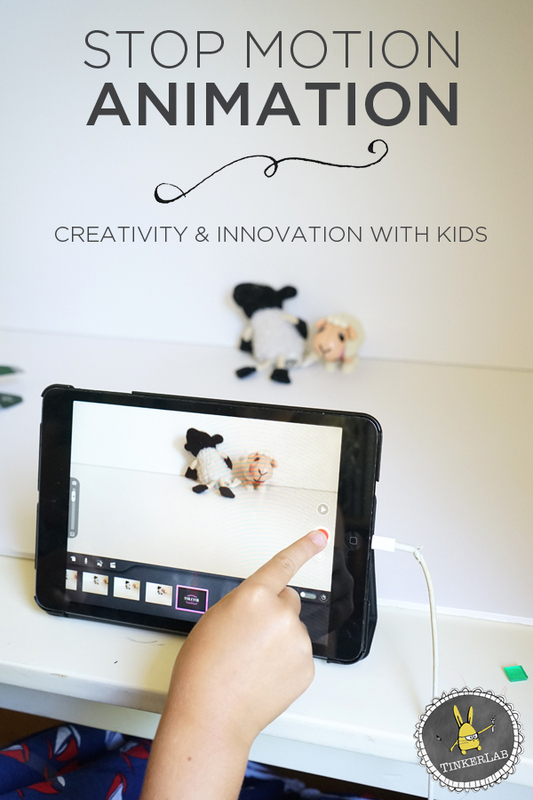 If you want to introduce your child to stop motion animation, this post is written for you. I’ll show you how to do this with an iPad or similar device, and you’ll be making your first movie in minutes. While my girls have been in a little bit of camp this summer, it’s mainly been Camp Mom for our family: local adventures, crafts, and lots and lots of unstructured play. We’re lucky to have some great neighbors with kids, and our girls have been lost in imaginative play that expands beyond the reach of anything I could possibly fabricate for them. However, we’ve had a few mornings filled with creative projects and this stop motion animation project is a winner. 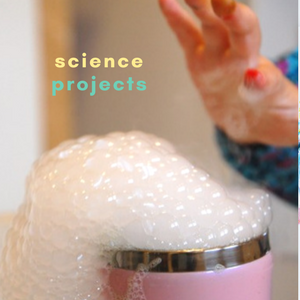 If you’re looking for a STEAM (Science, Technology, Engineering, Art, and Math) project, this is for YOU! 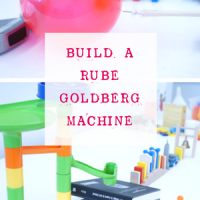 This project would be great to set up on the STEAM Table. For the uninitiated, stop motion animation is a film making technique that makes inanimate objects appear to move on their own. Think Gumby or Wallace and Gromit. 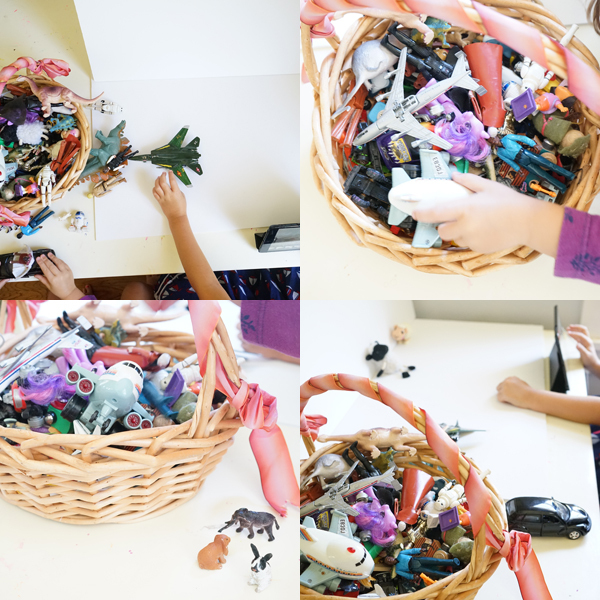 While my older daughter, age six, really flew with this project, her little sister who’s just two months shy of four also got in on the stop motion animation action. 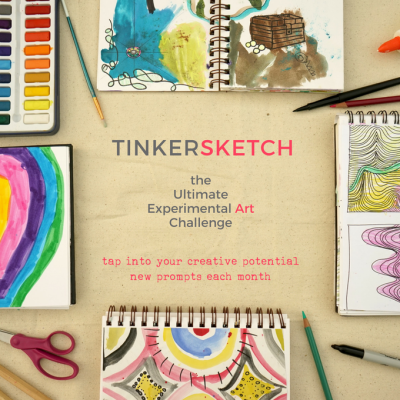 I’ll share their finished projects in just a moment. But first, let me show you just how simple this set up can be. Take this as a starting point and feel free to add your own flourishes. Smart phone, touchpad, or iPad. We used an iPad mini. Set up a backdrop. This could be a wall or pice of foam core. 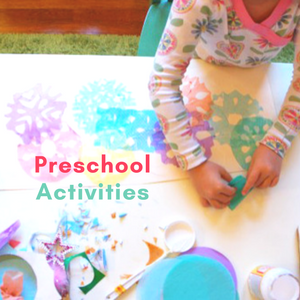 Gather toys to include in your animation. Set up your touch pad or smart phone on a stand or tripod, across from the foam core. 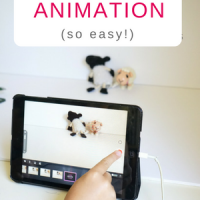 Start the Stop Motion Animation App and make your movie! As you can see, there’s nothing too fancy about the set up. While you could certainly add some elaborate lighting, we set this up by a window to keep it simple. I added the trash can behind the piece of foam core to keep it from falling over during filming. I know, super glamorous, right? Any heavy object should do the trick. 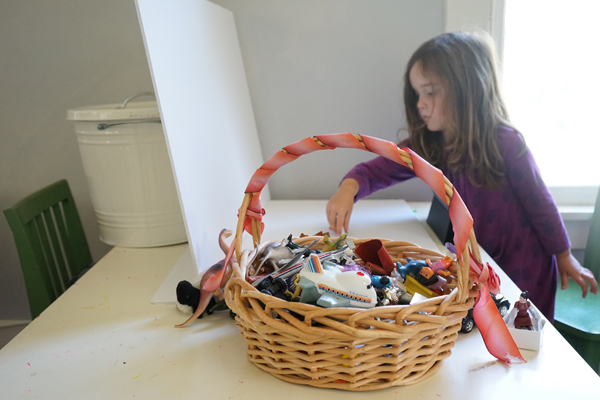 The kids had fun sorting through what we call the Character Basket for their just-right objects. My six-year old was up first, and my little one took it as an opportunity to play with cars and mini sheep while she waited her turn. 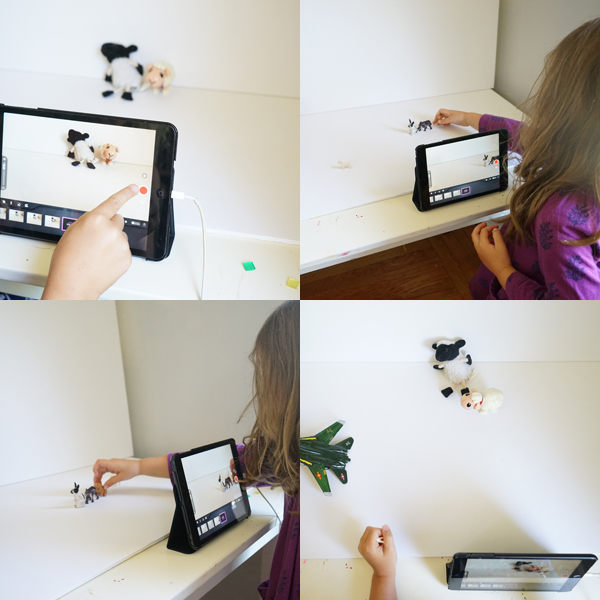 Using the stop motion app was really easy and intuitive. I did a demo run to show the kids how it worked, and then my six-year old took over and worked on her video for a solid half hour. When she was done, her little sister took over. I was surprised at how easy it was for her too. My kids jumped in on this with tons of enthusiasm. 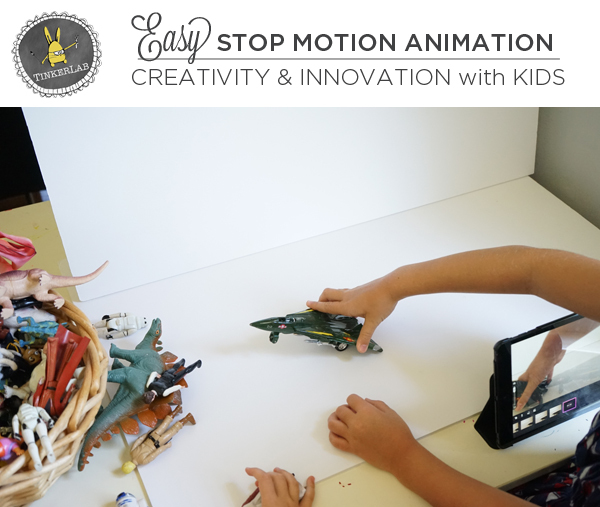 Here are a few easy stop motion ideas that you can show to your children. You can’t really beat the classic stop motion animation of Gumby! Gumby on the Moon, YouTube. 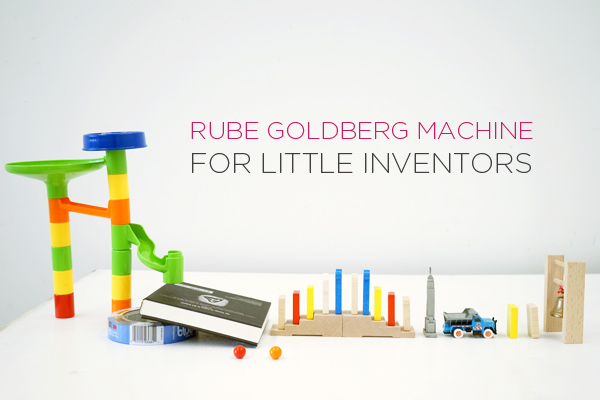 This would be an inspiring thing to show a child as an intro to stop motion animation. Best Stop Motion Videos from Short of the Week. 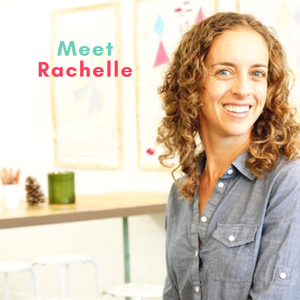 Lots of good inspiration here. How to make things fly in Stop Motion Animation, using PhotoShop: YouTube. This is for the super-advanced students, and worth checking out if you’re curious about how these things work.